We can also add text with a photo. 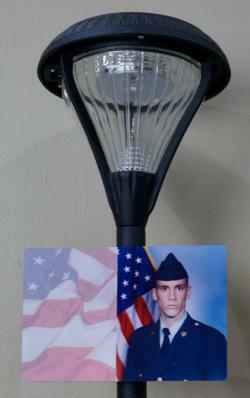 The Solar Memorial Light, provides a lasting, personalized memorials to honor and represent your loved one. The Light gives comfort for those who visit a grave site, or place in your yard for a glowing reminder for those whom you have lost – whatever path you use, the Solar Memorial Light is here to help make the transition an easier one. Powered by the sun, and easy to install, each light provides the perfect balance between remembrance and personalization. 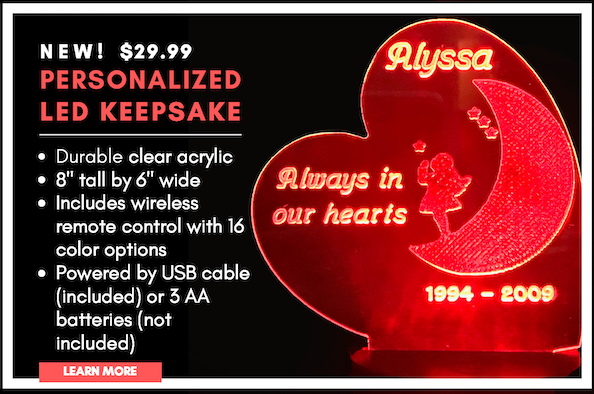 Engraving or a personal photo is also available to assign each light to the one whom you love and miss. Made of ultra-strong cast aluminum, the unit has a total height of 23 ½“ tall, with an in-ground height of 17”. The light is 6” high and 6” in diameter. The light provides up to 8 hours of lighting at 50 lumens. 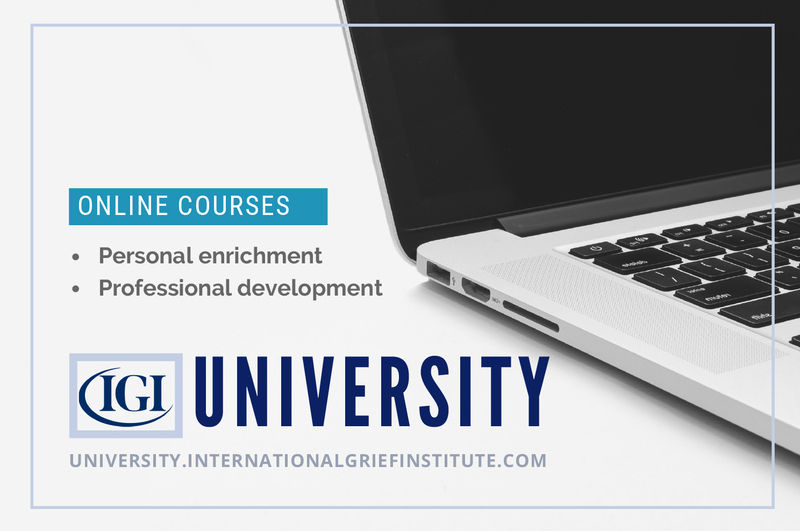 Up to four lines of personalization (in either bold or italic print) is available on the engraving plate. We can also include crosses or other personal symbols. The engraved plate is 2 1/2 X 4 1/2 inches. The photo option is produced on an aluminum plate (4 X 6 inches) and is completely weather resistant. We can also include personal text or symbols alongside the photo. Please allow two (2) weeks for delivery.